This article first appeared in City & Country, The Edge Malaysia Weekly, on November 26, 2018 - December 02, 2018. Before it became one of the fastest-growing areas in the south of Selangor, Semenyih was known more for its recreational offerings such as Broga Hill, LadyBird Organic Farm and Rabbit Fun Land. In the past 10 years, many property developers have flocked there as land nearer to Kuala Lumpur became scarce. In 2005, the University of Nottingham Malaysia moved to a 125-acre campus there. All these developments have led to major changes in the landscape and residential offerings in the area. Connectivity has improved over the years, and Semenyih is now connected via such highways as the North–South Expressway Central Link, Kajang Dispersal Link Expressway, Lebuhraya Kajang–Seremban and Cheras–Kajang Expressway. Two more highways — the East Klang Valley Expressway (EKVE) and Sungai Besi-Ulu Kelang Elevated Expressway (SUKE) — are in the pipeline as well. Local and international players have been drawn to the area, including the likes of S P Setia Bhd, Eco World Development Group Bhd, UMLand Bhd, IWajib Group and Kueen Lai Group. Among the international developers are China’s Country Garden Holdings Ltd and Jian Wei Development Sdn Bhd. One of the newest players to jump on the bandwagon is Midlands City Sdn Bhd, which aims to offer something different from the rest in Semenyih. Incorporated in 2014 under the Wira Syukur group of companies, its shareholders are Datuk Ng Aun Hooi, Ng Kok Kiang and Ting Hing Khok. Aun Hooi is Midlands’ executive chairman and the founder of Wira Syukur Group. He has more than 30 years of experience in infrastructure and building construction and 15 years in property development. He is also a non-executive director of Vizione Holdings Bhd. Kok Kiang is an engineer who has been involved in engineering, property management, property development and construction since 1992 while Ting started his career in banking and ventured into property development in 1997. The company’s 22-acre project in Semenyih — Midlands City — is a joint venture with the landowner, explains managing director Kok Kiang. It will be developed in three phases, he adds. Phase One will take up 5.8 acres and have an estimated gross development value of RM420 million. It will comprise 772 small offices/home offices (SoHos) in two 21-storey blocks, and 224 serviced apartments in a 14-storey block on top of a 7-storey retail podium. 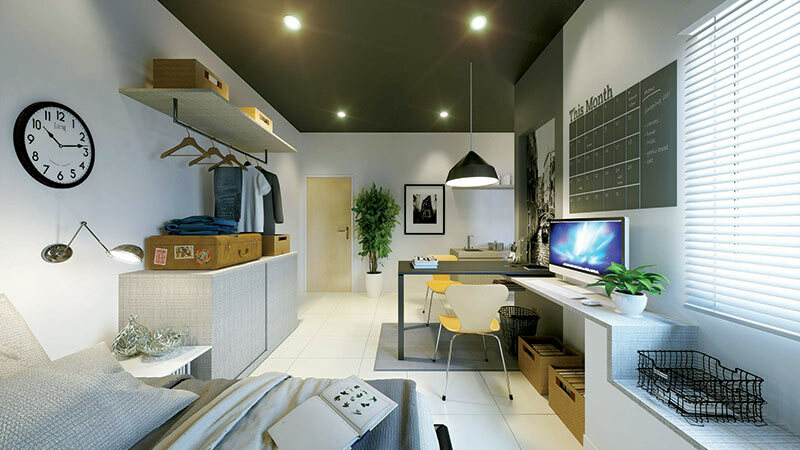 The 450 sq ft SoHos are dual-key and fully furnished, and come at an average price of RM280,000. Soft-launched in July, each unit comes with one parking bay. “The dual-key design means there are two small rooms in one unit, and each will have its own kitchen and bathroom. This is good for one’s own occupancy or to rent to university students. Midlands City is located just 700m from Nottingham University,” says Kok Kiang. To date, 40% of the SoHos have been taken up, mostly by young investors. 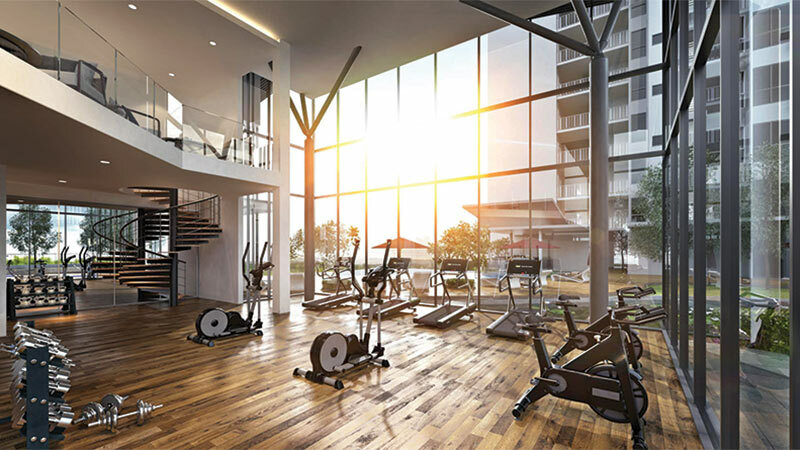 The facilities, which will be separated from those of the apartment tower, include a gymnasium, multipurpose hall, Jacuzzi, swimming pool, outdoor gym area, barbecue deck, viewing deck and gazebo. Kok Kiang says the retail podium will complement the residential blocks, making the development self-contained. “There will be 70 retail units on the ground and first floors. We want to make it a F&B hub for the area to cater for the needs of local residents. There will be enough supporting services, such as a grocery, laundrette, hair salon and IT shops, but most will be F&B operators,” he explains. 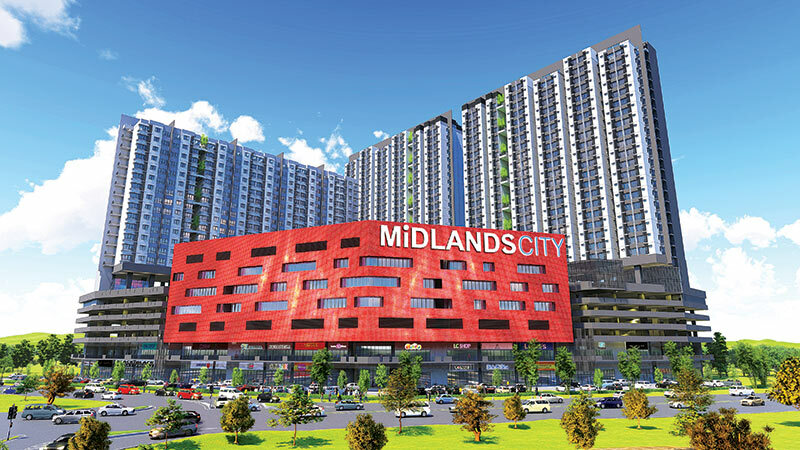 The developer had recognised the need for a unique concept early in the design stage in order to differentiate Midlands City from the nearby developments of mostly landed properties, according to Ryan Loo, senior manager of operations. The development is targeted at investors as well as owner-occupiers because of its proximity to Kuala Lumpur as well as the student population of Nottingham University. The latter led to the decision to build apartments as well as SoHos, which will have their own facilities, security services and parking space. 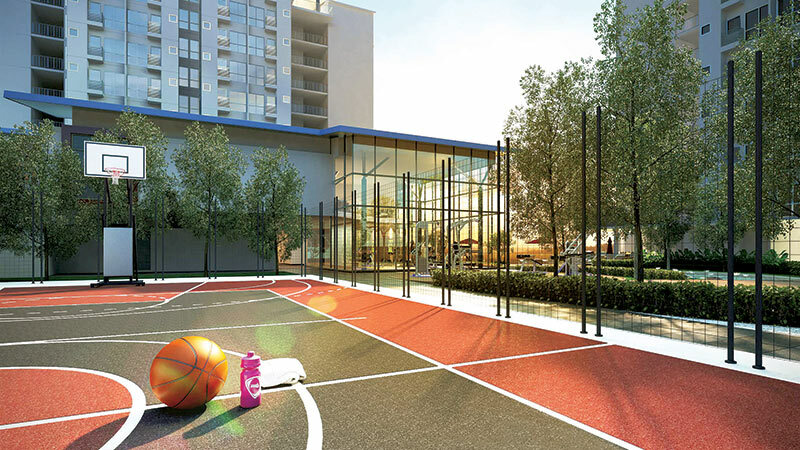 “The podium block will have a sports centre with bowling facilities on Level 3 and a college on Levels 4 and 5. A banquet hall on Level 6 can double as badminton courts. We see the demand for sports facilities and places to organise small-scale private events there,” says Loo. The college and residents will provide a steady market for the retail components, he adds. Metro Homes Realty Bhd executive director See Kok Loong reckons that it is bold of the developer to launch a high-rise project in Semenyih. He also notes that the dual-key units are a good idea. “As for the pricing at about RM600 psf, it is not cheap for the Semenyih area even when the size of the unit is small. The timing of completion of both Phase One and a proposed hospital is important,” he adds. When completed in early 2021, the hospital — which will be located diagonally across from Midlands City — will be another catalyst for the development, says Kok Kiang. Phase One will also be completed in early 2021. A sister company had acquired the 2.66-acre site early this year and has obtained zoning approval for a hospital. “We are in the midst of submitting a plan to the Ministry of Health and Kajang Municipal Council for a 300-bed private hospital, tentatively called Semenyih Specialist Hospital. We are in talks with a few healthcare operators now. 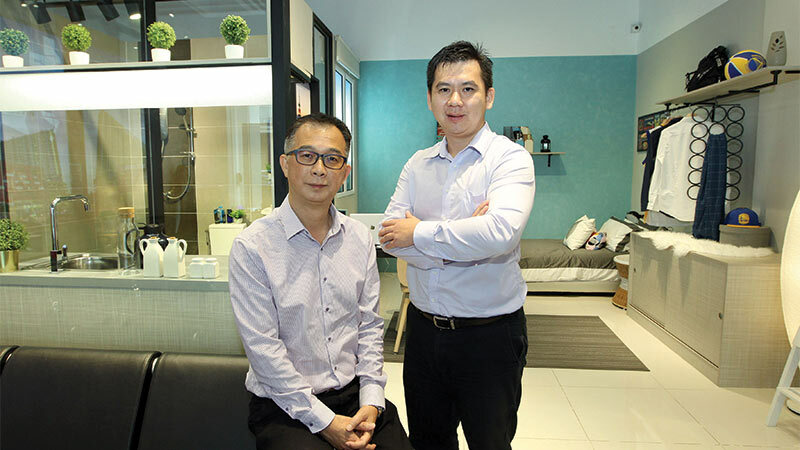 We will build a link bridge to connect the hospital to the retail component in Phase One, which will help boost the businesses there,” says Kok Kiang. The hospital is expected to be manned by 1,500 personnel, and will be a boon for home rental and retail businesses in Midlands City. Kok Kiang says the SoHos and apartment blocks may be launched early next year, depending on market sentiment. High-rise apartments were initially planned for Phases Two and Three. “We will see how we can enhance Phases Two and Three when Phase One and the hospital are completed,” says Kok Kiang.